Baseball: A Sport Girls Love. A Sport Girls Play. A girl playing baseball is so threatening to a team or league that hitting her in the head with a pitched baseball seems a good idea? Even verbalizing such an idea, even if you don't intend to go through with it is dangerous and extremely worrisome. I read of this threat in Deadspin, in a story picked up from Foster's Daily Democrat, a local newspaper near the girl's hometown, Madbury, New Hampshire. An 11-year-old girl's father had contacted the local baseball association officials to say that "two coaches said they would instruct a player to 'bean' his daughter — strike her in the head with a baseball during practice — in order to intimidate her into leaving the baseball program." His allegation was based on what he'd been told by other coaches who attended the meeting where the plan was discussed. His daughter is the only girl playing in her age-bracket of this baseball league. She was also reportedly the last player drafted when the coaches met to select their teams. She's played T-ball and baseball baseball and T-ball with teams in this region since 2012, mostly without incident. At younger ages, several other girls were with her on baseball teams, but as they reached their pre-teen years, her female peers switched to softball – while she stayed with baseball. The matter is being investigated, according to the story, but it is unclear what the investigation revealed or what steps, if any, are being taken to remedy the situation. My reading of this story coincided with an invitation to spend a few hours on a splendid Sunday afternoon at the Boston Slammers practice. The Slammers are three all-girls' baseball teams – 11 years old upper age, 13 years old and 18 years old – organized by Karen Zerby Buzzelle. a mom. The teams' summer season include a bunch of scrimmages, mostly against boys' teams, and a regional girls' baseball tournament in New Jersey in honor of Marie Pepe. 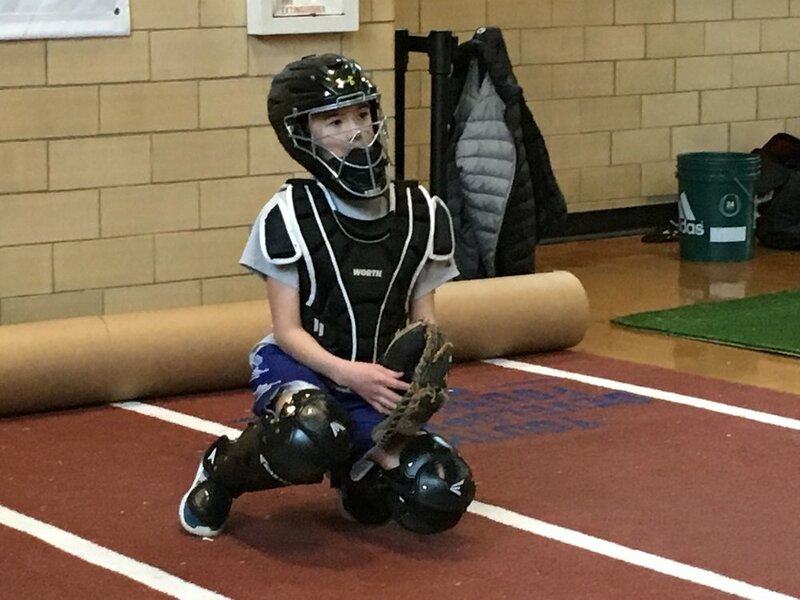 Girls can play baseball today because Maria Pepe stood up for their right to play,” said Ms. Justine Siegal, the first woman to coach with a Major League Baseball organization and founder of Baseball for All. “Maria Pepe, at that time, was a little girl that did not realize what the future would hold as far as playing little league baseball and the controversy it would bring. With her ability to play baseball and her determination, she stood up to the controversy. Because of Maria’s courage and fortitude, she won the court case,” says James Farina, her Little League coach. In the first week of August, the Boston Slammers will travel to Rockford, Illinois, the one-time home of the Rockford Peaches in the All-American Girls Professional Baseball League, for the national girls' baseball championship. So meet the Boston Slammers – with a few photos and videos from their indoor practice on Sunday. I'll be hanging out with the girls through the summer, so stay tuned. More stories to share ahead. But first a shout out to Justine Siegal who founded Baseball for All so girls could play the game they love, for steering me to my new hometown baseball team, the Slammers. I was 13-years-old the first time I was told I shouldn’t play baseball because I was a girl. My coach explained to me that he didn’t want me on his baseball team and that I should play softball instead. It didn’t matter that I was one of the best players on the team, that I loved baseball, or that I practiced way more than any of my male friends. It only mattered that I was a girl. The day my coach told me to quit was that day I decided to play baseball forever. Too many girls are still told they can’t play baseball because they are girls. I founded Baseball For All to empower girls to believe in themselves and to keep playing the game they love. I fear if you tell a girl she can’t play baseball what else will she think she can’t do? I then worry what else boys will think girls can’t do? Two hour practice begins with drills.